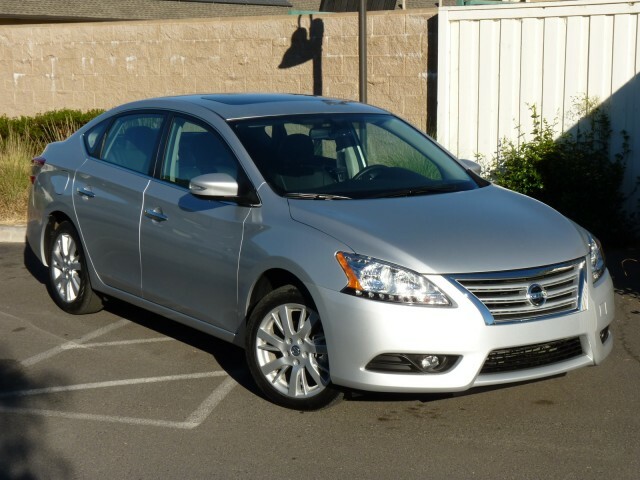 If you're in the market for a new Honda Civic, Toyota Corolla or Volkswagen Jetta, you're also in the market for the 2013 Nissan Sentra. While we haven't driven the 2013 Sentra on GreenCarReports yet, our sister site at TheCarConnection has reviewed the car in full--useful for any potential buyer to know. Previous Sentra models have often leant towards the insomnia-curing side of inoffensive with their exterior styling, but a freshen-up for the 2013 model year has improved the looks significantly. The all-new Sentra is inspired by larger, sportier-looking models like the Altima and Maxima, with sharper front and rear light treatment. It even features a distinctive belt line which curves over the front wheel arches before cutting down the sides, ending at the tail-lights. A large, confident grille, new alloy wheel designs and a sleek silhouette all increase the Sentra's curb-side appeal. Always an important factor in the compact class but even more so in 2012, the Sentra's gas milege has improved over the old model, making it more competitive with rivals. For equivalent CVT-equipped models, the new 1.8-liter (the old model was 2.0-liters) manages 39 mpg highway and a best-in-class 34 mpg combined. That's 5 mpg and 4 mpg up on the old model for each measurement, and 2 mpg better than the 2012 Honda Civic overall. 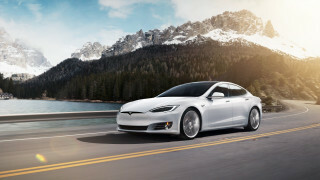 An upgraded FE+ model, for an extra $400, is expected to achieve over 40 mpg on the highway. In manual transmission models, a gear indicator advises the driver of the most economical gear to select. While performance models have occasionally offered thrills in the Sentra range, regular models deliver no more than you'd expect--and the 2013 model is no different. TheCarConnection says the Sentra is at its best in traffic--which says it all. The continuously-variable transmission is unresponsive, the manual transmission notchy and unsatisfying, and the engines lack torque. Nor is it much fun to drive. Ride quality is acceptable and handling only average--with plenty of body roll in corners and little steering feel. 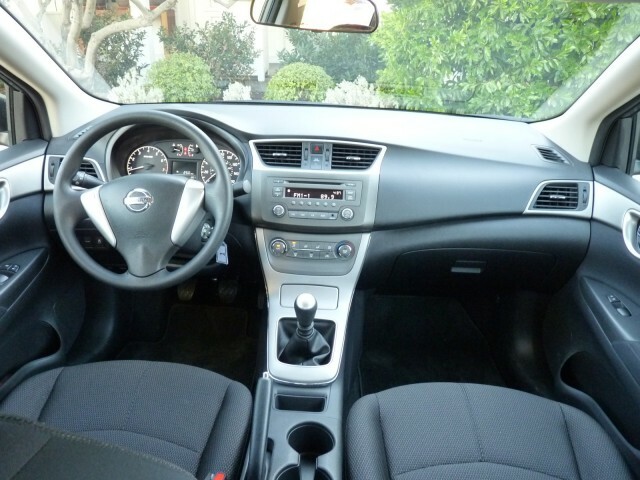 There's little to visually stimulate inside the Sentra, but it's predictably clear, concise and well-built. Trim looks better from a distance than up close, and while it's all resolutely inoffensive, the design isn't a patch on that found in cars like the Dodge Dart or Ford Focus. The front seats are also below-par for comfort, though rear seat passengers will find more space than before and there's plenty of trunk space. Equipment is plentiful though, even on the base-level S, at $16,640 including destination charge. A six-way adjustable driver's seat, air conditioning and keyless entry all feature--and subsequent trim levels offer even more. The 2013 Sentra may be unexciting to drive and sit in, but it'll look good on the driveway and importantly, for the price it offers class-leading fuel efficiency next to non-hybrid rivals.